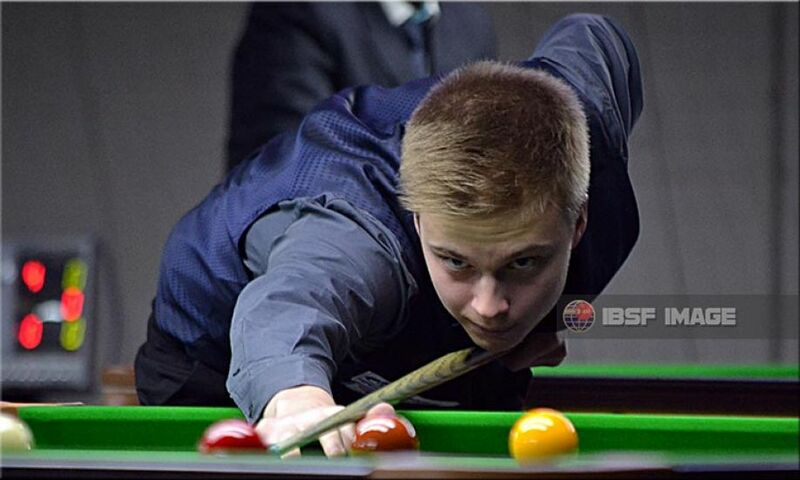 Russian boy, Ivan Kakovsky recorded a stunning 4-1 victory to defeat 2017 World Under-18 champion, Muhammad Naseem Akhtar of Pakistan in an exciting Q group match on the opening day of 2017 IBSF World Snooker here in Doha. Ivan capped a good comeback from one frame down to secure flawless next four frames during the last session of the day. The 18-year-old, Ivan made a very confident start from second frame onwards, as he knocked in excellent pots all across the table to secure subsequent frames. Each frame he won by almost double the margin, leaving no chance for Naseem to make any comeback. Other side, Naseem gave a flying start with an opening break of 56 points in first frame but after that he failed in each frame after securing initial few points. He left with no option rather congratulating Ivan for his victory.